“It really touched my heart to find it,” said Randy Heiss, who spotted a balloon with the note attached. It was a Christmas wish that crossed international borders. An Arizona man fulfilled the Christmas list of an 8-year-old girl in Mexico whose letter to Santa reached him by way of balloon. Earlier this month, Randy Heiss was hiking in Patagonia, Arizona, when he saw the ragged remains of a balloon with a note attached. One side of the note read: “Dayami.” On the other was a numbered list written in Spanish. Heiss’ wife translated the list and the pair identified its likely sender as a girl named Dayami. The note was intended for Santa and asked for art supplies, slime, a doll and a dollhouse, among other things. No contact information was left on the note. 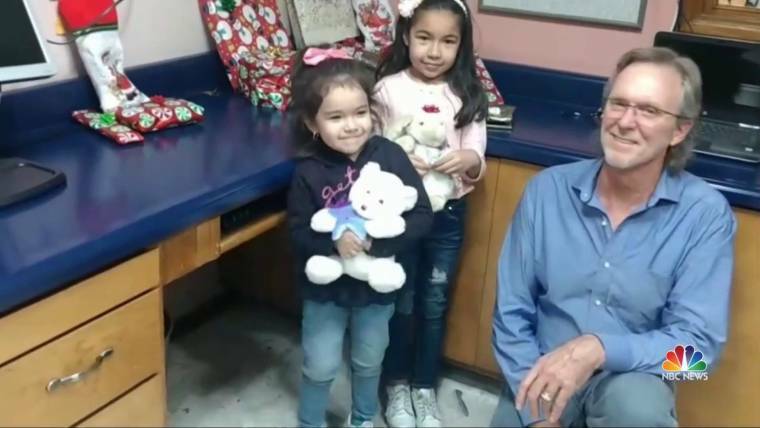 “It really touched my heart to find it and I said, ‘Well, how in the heck am I going to be able to figure out how to make contact with this little girl and make her wishes come true?’” Heiss told NBC affiliate KVOA in Tucson. Heiss believed the winds carried Dayami’s Christmas wish list about 20 miles away from Nogales, Mexico. He shared the letter on his Facebook account. After a few days with no leads, he enlisted the help of Radio XENY, a station in Nogales. The station posted Heiss’ story to its Facebook page. Within an hour, they were able to find Dayami, who lives in Nogales. 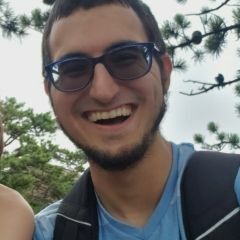 The radio station told NBC News on Monday that it helped to arrange for Heiss and his wife to meet Dayami and her family at its offices late last week. Heiss and his wife delivered the toys to Dayami and her sister younger sister, Ximena, during the meeting. It brought him “healing joy” to see the children’s happy faces, Heiss told the “Today” show. As it turns out, the experience was a gift for the couple, too. Janelle Griffith is a breaking news reporter for NBC News. Is Russian social media giant VKontakte sidestepping the GDPR? Is Russian social media giant VKontakte sidestepping the GDPR? One user is trying to find out. Russian social media network VKontakte has been having a bad few months. Multiple platform users have been prosecuted for their posts, and the company has been publicly shamed for its lack of transparency regarding how it shares user data with law enforcement authorities. Now, VKontakte (VK) is facing a new privacy-related challenge: Kristian Shinkevich, a Belarussian activist living in Poland, is demanding that VK give him all the personal data that it has pertaining to him. The company has yet to comply. And in the meantime, it has suspended his access to the account. Shinkevich first began wondering about VK’s data collection practices after he faced legal threats for participating in a demonstration in Belarus. Shortly thereafter, he was expelled from his university, where he says an administrator told him that the school had access to all their students’ VKontakte data, including which posts they had liked. In his case, this would have revealed his involvement with demonstrations. Between this, and the fact that other Belarussian activists have been arrested for VKontakte posts promoting protests (an indication that authorities in Belarus also monitor activity on the social network), Shinkevich found himself wanting to know more about VK’s data collection practices. So he looked to the European Union’s newly-instituted General Data Protection Regulation (GDPR), a set of policies aimed at standardizing the handling of personal information by companies and organizations. Under the GDPR, any company that processes the personal information of EU subjects must comply with certain rules regarding the protection and transfer of such data. Another provision stipulates that EU subjects have a right to access the personal information that companies retain about them, and that they have a right to know how this information is used. Although Shinkevich is a citizen of a non-EU state, Belarus, he is entitled to request this information under the GDPR, as an EU resident (or “subject”, as described in the GDPR) in Poland. Additionally, despite the fact that VKontakte is a Russian company, it must still comply because it is providing services to EU subjects abroad and handling their information. Noncompliance would give EU authorities the power to levy a fine of either 20 million euros or 4 percent global gross revenue, depending on which is higher. Today I have received the file, and that’s freaking serious. 4. complete list of files I’ve removed from my page, their exact address, name, date added, direct link – no matter that they all have been removed – voice messages, PDF documents etc. 6. complete history of conversations, including removed, up to 27.06.2018 20:43:51 (the first message is dated 01.09.2016 21:40:30), with all the attachments including removed ones. This file is about 1,5 Mbytes but it has al [sic] the history of my activity on VK since 2016 (when my page was created). Shinkevich was not surprised by what the file contained — but he was surprised at what it lacked. “I am pretty sure that what they have sent me is not the whole information, and they have much more,” he wrote on Facebook. Do these and other types of information qualify as “personal data”? It depends on where you ask the question. While Russian Federal Law 152 defines personal information as any information directly or indirectly related to a specific individual, the GDPR has a very specific breakdown of this wide interpretation. But as the terms of the GDPR apply to all companies providing services to EU subjects, VKontakte is required by law to follow these terms when dealing with customers in the EU. 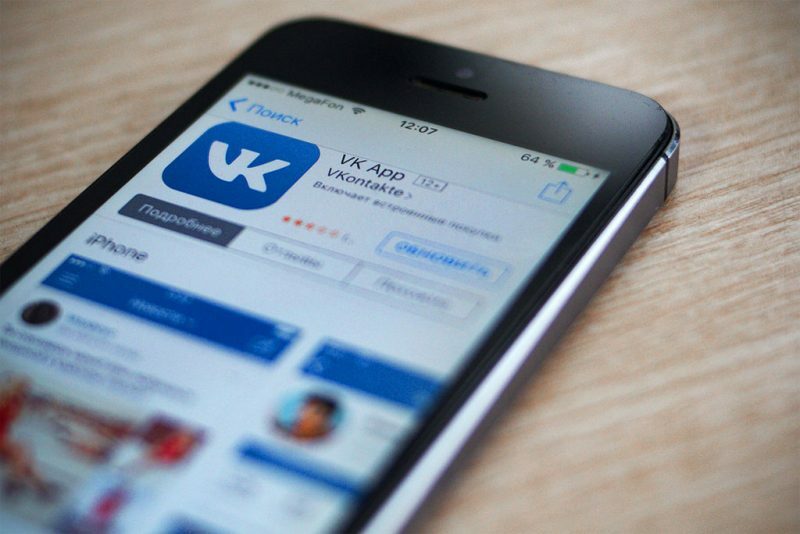 When Shinkevich asked VKontakte for the rest of the information, it evaded his request. The company later blocked his access to his account at the end of July. His page is still online, but he cannot log in to it or reset his password. We didn’t block the user’s page. Access was restricted after the user changed several key parameters, including first name, last name, gender, and so on. Such activity is considered suspicious and could be proof that the account was sold or given to another person. Restricting access to the page isn’t in any way related to the user’s GDPR information request. Shinkevich has since filed a complaint with Poland’s personal data security service and has taken the controversial step of advocating that VKontakte be blocked in Poland. He joins a growing number of voices urging users to stop using VKontakteand delete their pages. Last year, VKontakte’s total revenue was over $200,000,000.If found in violation of GDPR, their fine would be ten percent of that amount. With upwards of two million EU users, the social network could soon pay a hefty price if it doesn’t address privacy concerns. 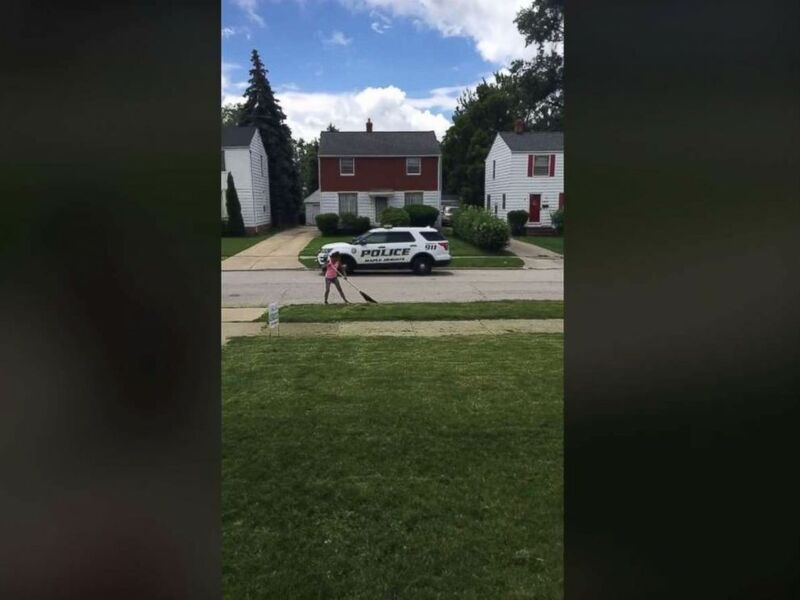 A 12-year-old Ohio boy who operates his own lawn mowing business has gained more customers after one neighbor called the police one him for mowing part of her yard. 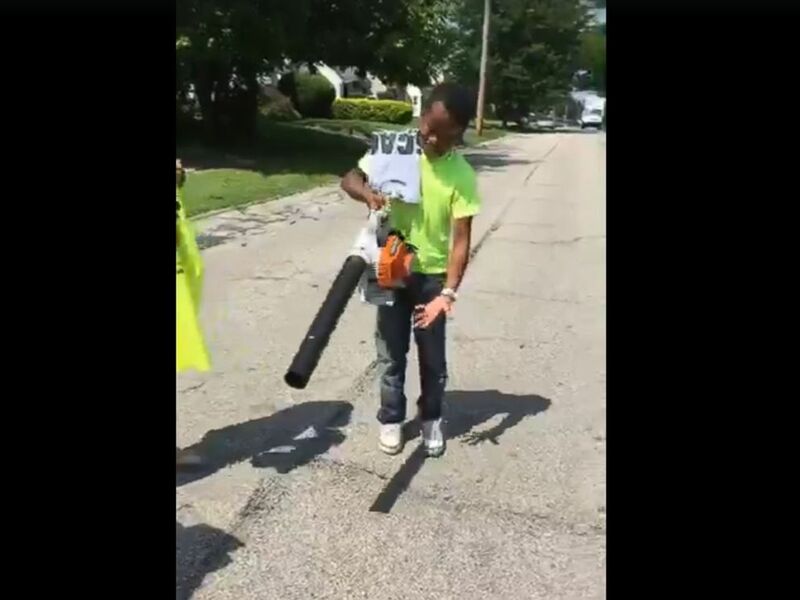 Maple Heights resident Lucille Holt had employed 12-year-old Reginald Fields, who owns Mr. Reggie’s Lawn Cutting Service, to mow her lawn on Saturday, she told ABC Cleveland affiliate WEWS. 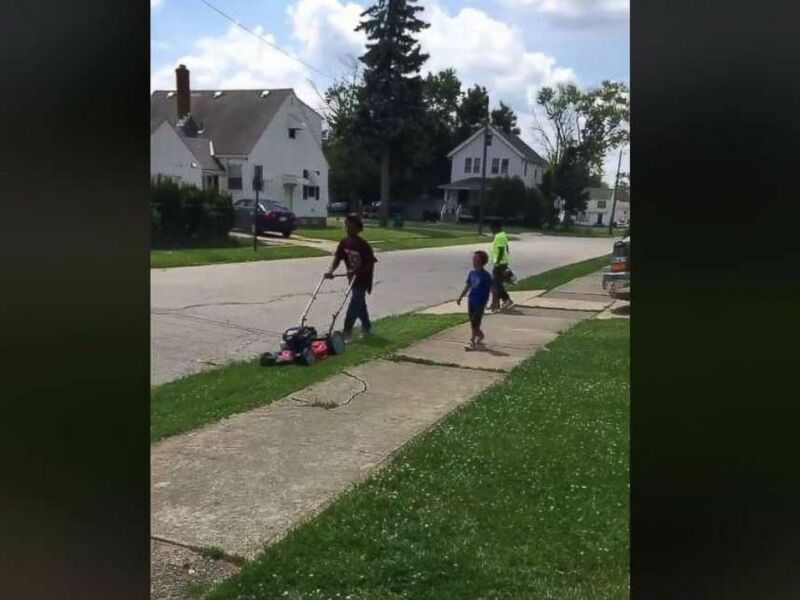 Reginald’s cousins often help him work, and one of the neighbors called the police on them after the group of kids accidentally cut part of their grass, Holt said in a Facebook video she posted on Saturday. The patch of grass the neighbors were apparently referring to sits between Holt’s home and theirs. There is no fence there to mark where the property begins and ends. “I guess I have a line there, that’s not part of my yard,” Holt said. A police car is seen parked outside the home of Lucille Holt Colden in Maple Heights, Ohio. 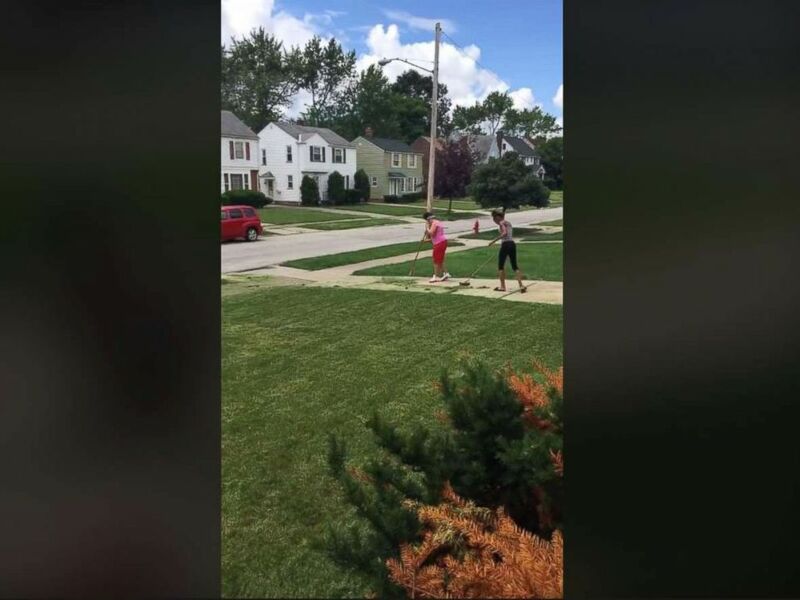 Neighbors in Maple Heights, Ohio, called the police on Mr. Reggie’s Lawn Cutting Service because he cut their grass by mistake. Holt then asks one of the boys how old he is. When he responds that he is 9 and went to school with one of the neighbors, she praises him for being productive. “I’m so glad [you’re] out here doing something positive, she said. The Maple Heights Police Department did not immediately respond to ABC News’ request for comment. WEWS reached out to the neighbors, who said they saw the video but declined to comment further. Reginald didn’t realize he was cutting the neighbor’s grass, he told WEWS. Ever since the incident, which has been viewed more than 150,000 times on Facebook as of Friday, Reginald has been getting more business calls than ever from all over the city, he said. “People are inboxing me like, ‘How can I get in touch with this children? Where are they at? I got property I want these kids to cut,'” Holt said. Reginald told the local station that he planned on saving the money he made to buy new equipment and grow his business. On Friday, Holt posted video of Reginald receiving a new lawn mower and leaf blower from members of the community who saw her video. By Celso Marcondes – Surely Temer, happy owner of an index of 3% of great and good in the surveys, in the next will take a debt with the institutes. From the doorman of the building in the Gardens to the banker, from the successful little businesswoman to the banana cutter, there is a unanimous sentiment close to the rejection of the president that nobody elected, but many people supported. “If I had a truck, it would go over his head,” an elderly caretaker confided to me in one of the softer comments I heard. Certainty that grew in these weeks the contempt to the politicians in general, seen as incapable of accounting for an unprecedented and extremely complex situation that affected almost the entire Brazilian population. “In the next elections I will not vote for anyone,” a cleaning lady wrote yesterday, my friend on Facebook. It is certain that contempt for politics historically nourishes the defenders of authoritarian exits, which is why the number of supporters of the military coup increased. The generals deny the hypothesis, but after taking care of Rio de Janeiro “to face violence”, they gained even more space by taking on the so-called “crisis cabinet” of the Alvorada Palace and putting the troops on the roads, more to fraternize than to hit truck driver. Certainly deteriorated the situation of the country’s economy. The count of eleven days of movement is very salty. It will lead to the growth of unemployment and to the even greater scrapping of public services, among several other dire consequences. It is certain that life has become even more difficult for the defenders of the so-called “center candidate to combat the two extremes,” euphemism used to disguise the name to be cacifado by the so-called “market” or “system” or “the elites” or “the right, “or whatever name you want to give to who actually rules in this country. Huck, Doria, Carmen Lúcia, Joaquim Barbosa and even Temer stayed on the road after being tested and not approved. They left Alckmin, Meirelles and Rodrigo Maia, of whom few people would be willing to buy a used car after the tsunami of those days. Doubt whether the “market” would invest its pennies in Bolsonaro, the candidate who exudes a minority sector of the population always existing and previously barely visible, but uncontrollable by the powerful and visibly incapable. Doubt if the one in charge in the country can withstand until September a situation in which the only person with the authority and proven ability to dialogue and negotiate with Greeks and Trojans is kept imprisoned and the jail leads all opinion polls. Doubt that even if the most popular leadership was declared ineligible, towards the end of August, the “system” would face an absolutely unpredictable election, with five or six candidates embarrassed in the polls to contest two vacancies in a very short campaign with many people willing to abstain from voting. “Legal insecurity”, “institutional crisis”, “political and social insecurity” (the elections would have taken place if they were scheduled for last Sunday? ), In the country of legal abuses, any of these arguments could be used to change the schedule. Finally, at the doors of the World Cup, some certainties, beyond the hope in the Tite team. And so many doubts that lead to the other great, very cruel. but the answer is, honestly, not yes. Yesterday I said I was going to share over the next couple of days some things that need to happen in the leadership of our churches if we want real revival. It is not my intent to say I know all there is to know about revival, but I want to see it. I’m not trying to impress you, I am to set in my ways for that. But what would happen if we as leaders did seek God for true revival? Anyway, I am just sharing with you what God is laying on my heart. The first call was a call to purity, now we look at second call, a call to renewed worship. 1. After the priests and Levites purified themselves and clean the temple for service, Hezekiah called the leadership to a time of worship. • Anytime there was a dullness of religion amongst God’s people, their worship was the first thing to fall by the wayside! You can attend church, and even preach and still not worship God. • In every revival recorded in the scripture, a renewed call to real worship was major factor in bringing about change! It started with the leaders! • How can we expect to lead others to worship God, If we are not worshipping??? 2. Worship is more than just coming to sit in a room to hear a message, or preach a message, and sing a few hymns! Worship doesn’t come from the mind, it comes from the heart! • Scriptural worship always involves sacrifice! In our case, the giving of ourselves totally to God! • “Romans 12:1”I beseech you therefore, brethren, by the mercies of God, that ye present your bodies a living sacrifice, holy, acceptable unto God, which is your reasonable service.” act of worship. Let us check our heart!